Mr. Cleaver and I had been talking about how there are so many things we wanted to do this this summer, and how often we never get to them because we just never picked a day to do it. So late last week we pulled down the calendar and started putting dates: concerts we wanted to see, camping reservations, etc. 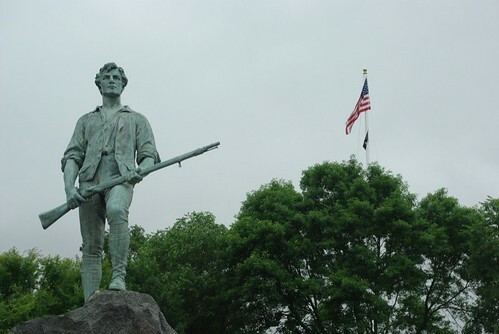 and we decided that this weekend - with the forecast for rain and general dreariness in Maine, we would head down to Lexington, Massachusetts. Every Sunday, Mr. Cleaver picks up two papers, the Portland Press Herald for him, and the Boston Globe for me. I read the paper in a very specific order: Comics, Parade magazine, Travel, Arts, Movies, Ideas, and Globe Magazine. Yes, I read no news in my newspaper. 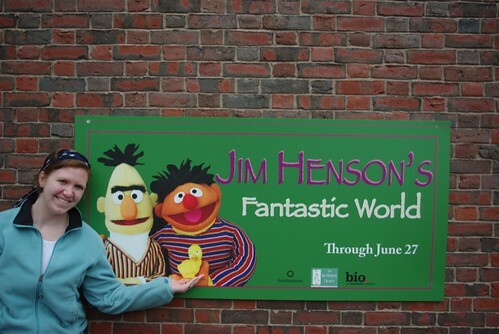 A month or so back, I saw a review of Jim Henson's Fantastic World, a traveling exhibit from the Smithsonian, currently at the National History Museum in Lexington through June 27th (psst- Chicago folks, it's coming to the Museum of Science and Industry at the end of October). One of the first jobs I ever wanted to to be a Muppetter- so I was thrilled that we got a chance to catch this well-curated exhibit. Unfortunately photography was prohibited in the exhibition, but let this prove that I was there and that it was wonderful. Mr. Cleaver and I both though our favorite part was the way the young children reacted to the clips from Henson's career - they were enthralled and laughing, even at the somewhat dated clips like "Visual Thinking" from Sam & Friends, from around 1959. After we finished at the museum, which also had a beautiful exhibit of National Park photos by Quang-Tuan Luong, we hit the street of Lexington for lunch and history. Lexington is the location of the "Shot Heard Round the World" or the first armed conflict of the American Revolution against the British. 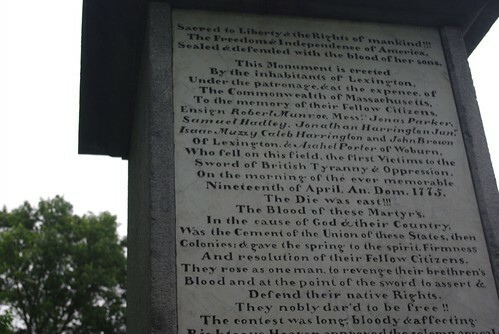 According to a marker for the men who died in the battle, it is the place where "The Dies Was Cast!" The battle green where the conflict took place has several markers notating where the British stood and where the Revolutionaries stood, but otherwise, looks very much like a your standard municiple park. 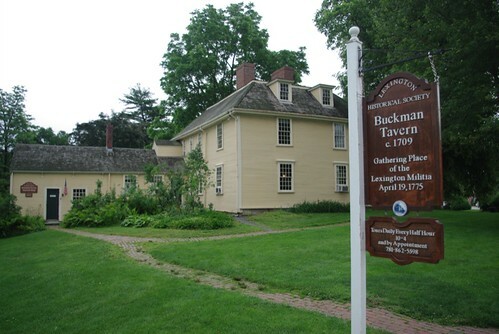 We also peered through the windows of the Buckman Tavern, not wanting to pay the tour fee. After soaking in what history we could on the cheap, we went to a nearby Trader Joe's an picked up copious amounts of tasty food we can't yet get in Maine. All in all, a worthwhile trip.